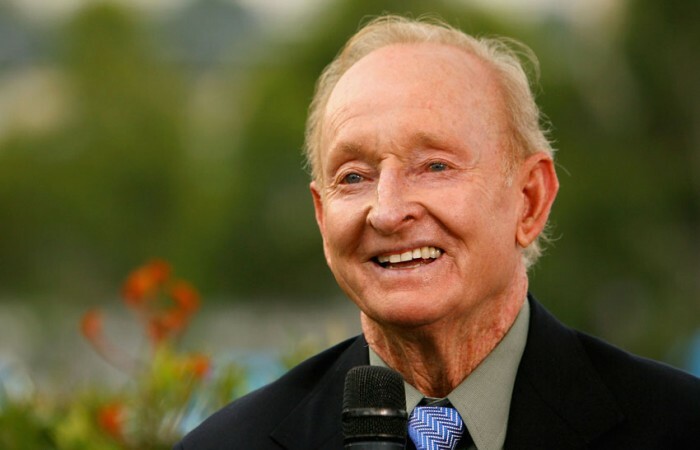 Finals day at the 2012 US Open will mark, almost exactly to the day, the 50th anniversary of Rod Laver's first calendar year Grand Slam in 1962. Come the end of this US Open fortnight, two occasions will have been marked. The first will be the crowning of the men’s singles winner at Flushing Meadows, quite possibly a first-time winner given only one former champion, Novak Djokovic, remains alive in the draw. The second is the 50th anniversary of Rod Laver’s win at the 1962 Open, a feat that saw him capture a prestigious calendar-year Grand Slam. Laver is the only player in history, male or female, to win the Grand Slam twice, doing so again in 1969. No male player since Laver has been able to achieve the feat. “It’s uncanny that no one has put it all together,” Laver told Associated Press in 2011. Although not technically a Grand Slam, Djokovic earlier this season came within one match of holding all four major titles simultaneously when he reached the final at Roland Garros after winning Wimbledon and the US Open in 2011 and the Australian Open in 2012. He would have been the first person since Laver to be the reigning champion at all four events at once. 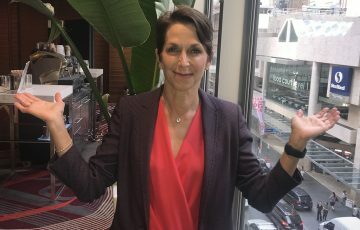 “I did have my chance to make it four in a row but I haven’t done it. 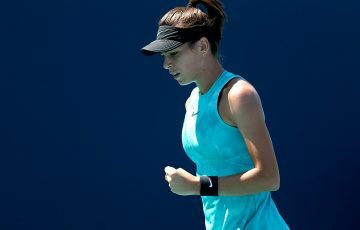 Just coming to the Roland Garros finals this year was a step further than I had ever done, so for me that was satisfying. I’ll keep on trying. You know, I still feel that I have a lot of years to come,” Djokovic said following his quarterfinal defeat of Juan Martin del Potro on Thursday in New York. While many talk of Laver’s stellar play in winning the Grand Slam in 1969 – the first recorded in the Open Era when amateur and professionals finally united – his effort in doing so in 1962 was also quite remarkable. 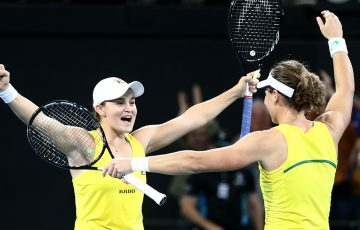 The Queenslander became just the third player at that stage after Don Budge and Maureen Connolly to win all four major championships in the one season. Achieved while still an amateur himself, he had to beat some of the finest names in the sport to do so. 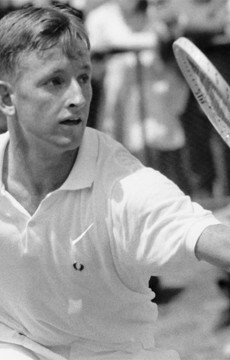 Laver’s win at the 1962 US Open, played on grass at Forest Hills in New York, was achieved with the loss of only two sets, sealing his place in the sport’s record books when he defeated compatriot Roy Emerson in a four-set final. At the earlier grasscourt majors that season in Australia and at Wimbledon, Laver was equally dominant. This was especially the case at the All England Club, where he dropped just one set en route to the title, hoisting the trophy after a crushing win in the final over fellow Aussie Martin Mulligan. Roy Emerson was Laver’s finals victim in Australia, the championships that year being contested at White City in Sydney. However, Laver’s shot at a rare sweep of the majors almost slipped through his fingers at Roland Garros. 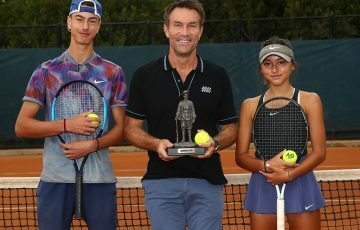 In his quarterfinal and semifinal matches, the left-hander was forced to battle for five sets gruelling sets, against Mulligan and Neale Fraser respectively. And in the final, again facing Emerson, Laver recovered from two-sets-to-love down to record a 3-6 2-6 6-3 9-7 6-2 win over his friend and compatriot. 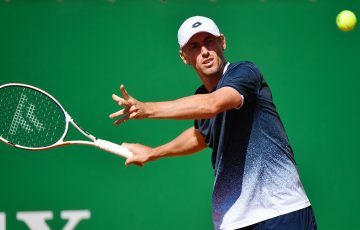 Laver’s confidence and form on the red clay of Roland Garros may have been explained by his excellent lead-in to the event, which saw him capture the Italian and German titles. The Rome-Hamburg-Paris claycourt trifecta is a feat that no man has since achieved. The year 1962 was remarkable in many other ways for the Rocket from Rockhampton. Almost inevitably, his Grand Slam set saw him become the top-ranked amateur player for the second year running. 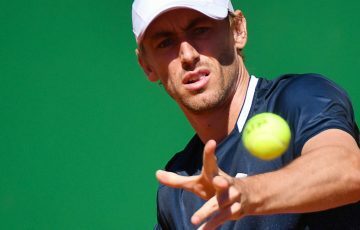 His season was also highlighted by a stratospheric 134-15 win-loss record which included 19 titles from 34 tournaments, as well as his participation in Australia’s winning Davis Cup team, which stormed to a 5-0 victory over Mexico in the final. 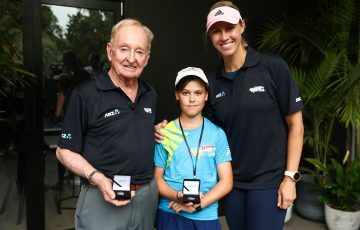 Ever the humble champion, Laver recalls his motivation to achieve his first Slam was not to cement himself in the annals of tennis, but to simply experience the feeling that comes with achieving the sport’s ultimate prize. “I remember watching Lew Hoad in 1956 in the US Open —he had three legs of the calendar Grand Slam but lost to Ken Rosewall in the final,” Laver recalled in an interview with Time magazine.